Giant Control Blast CO2 25g Refill gets you back on the road fast. 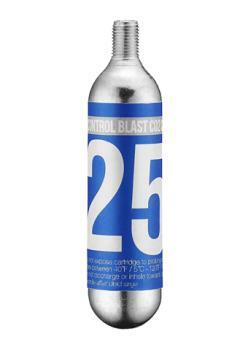 refill CO2 cartridges for Giant Control Blast and Control Blast 1 CO2 inflators, featurinbg a larger 25g size. FEATURES Foam padded cartridge provides insulation Large volume makes filling big tires quick and easy All specifications and prices listed are subject to change without notice.